I hereby certify that I am the parent or guardian of the above named child and do hereby give my consent without reservation to the foregoing on behalf of My Child. I represent that I am at least eighteen (18) years of age and am fully competent to this Release. THIS IS A RELEASE OF LEGAL RIGHTS. I hereby acknowledge that certain risks of injury are inherent to participation in recreational activities. These types of injuries may be minor or serious and may result from one’s actions, or the actions or interactions of others or a combination of both. I understand that certain activities require a minimum level of fitness and health (physical, mental and emotional) and that each person has a different capacity for participating in these activities. I hereby agree that Francisco Hockey Inc., Jon Francisco, the arena or any others involved, shall not be liable for any injury, loss or damage to person or property, incurred during this program, including deterioration of health or illness or aggravation of condition resulting from participation in these activities. I declare having read and understood the above informed consent agreement in its entirety and hereby give my consent for the registrant to participate knowing all of the foregoing.  Francisco Hockey Inc. will not sell any photos, images or video content. Such content will be used solely for informational, educational and advertising purposes of Francisco Hockey Inc. I hereby grant Francisco Hockey Inc., Jon Francisco, and their agents the absolute right and permission to use photographic portraits, pictures, digital images or videotapes of My Child, or in which My Child may be included in whole or part, or reproductions thereof in color or otherwise for any lawful purpose whatsoever, including but not limited to use in any Francisco Hockey Inc. publication or on the Francisco Hockey Inc. websites or social media, without payment or any other consideration. I hereby waive any right that I may have to inspect and/or approve the finished product or the copy that may be used in connection therewith, wherein My Child’s likeness appears, or the use to which it may be applied. I hereby release, discharge, and agree to indemnify and hold harmless Francisco Hockey Inc., Jon Francisco and their agents from all claims, demands, and causes of action that I or My Child have or may have by reason of this authorization or use of My Child’s photographic portraits, pictures, digital images or videotapes, including any liability by virtue of any blurring, distortion, alteration, optical illusion, or use in composite form, whether intentional or otherwise, that may occur or be produced in the taking of said images or videotapes, or in processing tending towards the completion of the finished product, including publication on the internet, in brochures, or any other advertisements or promotional materials.